EDITOR’S NOTE: The following will contain major SPOILERS about Iron Man 3. If you haven’t seen the film and don’t want to learn what happens, do not read anymore! Despite the somewhat mixed reaction to Iron Man 3, the reviews still remained on the positive. I know our fellow Starloggers colleague José Soto enjoyed the film. But there is a vocal base out there of people who loathe Iron Man 3, including our one of our other colleagues Jim McLernon. 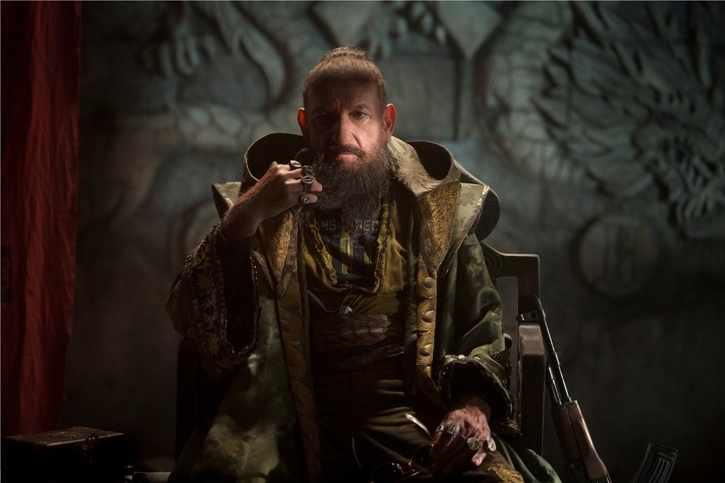 Much of that dislike has to do with some perceived flaws with the film and the Mandarin (Ben Kingsley). We’ll be the first to admit that a minor quibble has to do with the high-speed action near the end of Iron Man 3. At that point, Iron Man/Tony Stark (Robert Downey, Jr.) and Iron Patriot/James Rhodes (Don Cheadle) have a final confrontation with the main villain Aldrich Killian (Guy Pearce) at an oil tanker. Needing help against the super-powered Killian and his Extremis army, Stark calls for back up and a cavalry of remote controlled Iron Man armors arrive. We don’t really get enough time within the dizzying action sequences to view these great Iron Man armors. Sure, we’ll see it in toy stores and production stills, but for a moment, the final fight suffered the same syndrome that plagued Transformers 2–too much blurry metal and things happening so fast that it was hard to follow which armor was which. The final battle takes place at night, so that doesn’t help either. The rest of the film had clear storytelling and it was great to watch. Shane Black co-wrote and directed this entry with guidance from producer Kevin Feige and original director Jon Farvreau. Iron Man 3 is a solid entry in the Marvel movie universe. Better than the second film and about as enjoyable as the first one. We liked how Marvel is treating this film as a conclusion of sorts, yet leaves an opening for future films–hopefully with Robert Downey, Jr. (RDJ), who for many people is Tony Stark. Along with him, Gwyneth Paltrow, Cheadle, and Favreau perform at their expected best and are able to walk that fine line between action, comedy and drama. Pearce and James Badge Dale as the heat-based villain Eric Savin are terrific new additions to the cast and standout as villains. But RDJ carried the film. Just as Christopher Reeve personified Superman perfectly, so does RDJ as Iron Man. His character is suffering from the events of The Avengers and we see the personal impact that those events created on a person. RDJ showed a vulnerability that hasn’t been seen before. It was refreshing and made him more human and identifiable. The final minutes of Iron Man 3 seemed like a conclusion to a larger story arc about Stark’s life and to the film trilogy. It seems as if Stark is done with being Iron Man, he’s purged his inner hang ups (and his armors), grown and no longer has the need to use the armors as crutches. But he concludes his narration by stating “I am Iron Man”, so hopefully Marvel and RDJ can reach an agreement for him to reprise the role. After all the end credits do reveal that Tony Stark will return. We liked how this Iron Man film is very self contained without any Avengers appearing during the film (emphasis on the word during :D), yet the film expands on the general Marvel movie universe that Iron Man gets involved with. We see competitor industries like A.I.M. 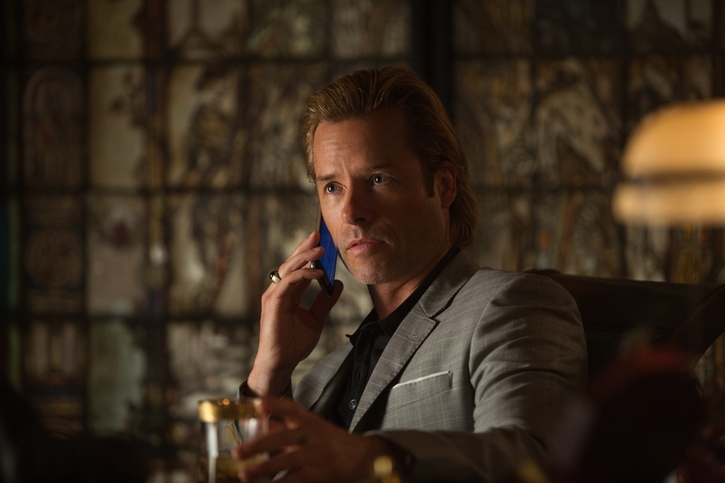 (Killian’s company) and Roxxon, two villainous corporate entities seen in the comic books. Now on to the Mandarin. His role in the film is very controversial. Supposedly he is considered to be the main Iron Man villain in the comic books but bringing that character to the big screen is problematic. In the comic books, he is this Chinese warlord who possesses ten alien rings with different kinds of powers and was created in a less politically correct time. The Mandarin as he is in the comic books is considered to be a negative stereotypical portrayal of Asians. To bring that character into a big budget film would have created a public relations firestorm. There isn’t any way in today’s climate where the U.S. owes China so much money and seems largely content with being indebted to that nation, will a stereotype like the Mandarin appear on film. Putting politics aside, the film studios will lose a ton of revenue in Asia if they used the traditional Mandarin super villain. Family-friendly Disney (Marvel’s owner) want to expand their appeal with China, not close it. The creative minds at Disney/Marvel wouldn’t allow the Mandarin to be portrayed as in the comic books, so the Mandarin had to be politically correct. Black and the producers made an acceptable alternative. They had it that the Mandarin was just a British actor hired by Killian to portray a super terrorist. The Mandarin would claim credit for Killian’s terror attacks and Killian gets to manipulate the public and gain more control behind the scenes. In effect, Killian is the Mandarin; he even claims at one point that he is that person. The bottom line is that the Mandarin doesn’t exist in this film. But honestly, he isn’t a famous villain like Dr. Doom or the Joker so drastically changing the villain wouldn’t turn off the general public. It was a calculated risk that the people behind Iron Man 3 took. We think it was a rather brilliant and daring plot twist but it turned off some vocal fans. That is understandable but they have to be realistic and for now this is the best solution. But enough with this controversy. 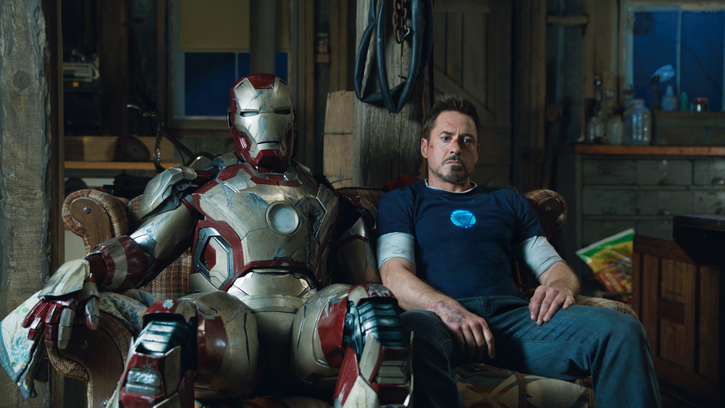 Iron Man 3 is still a joyous and energetic film thanks to its many merits. And the recent box office receipts confirm that the appealing combo of Iron Man and RDJ continues to be invincible.